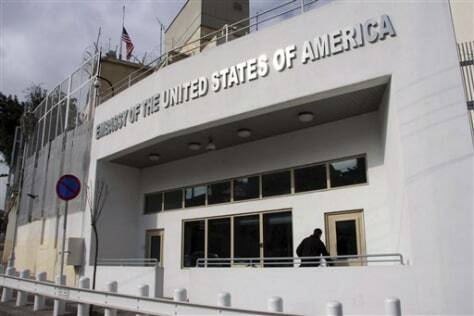 The U.S. embassy building is seen in Damascus, Syria. The first American envoy to Syria since 2005 arrives in Damascus on Sunday at a time of regional turmoil and with Syrian-U.S. relations still mired in mutual distrust. President Barack Obama's administration has argued that returning an ambassador to Syria would help persuade Syria to change its policies regarding Lebanon, Israel, Iraq and support for extremist groups. Syria is designated a "state sponsor of terrorism" by the State Department.